Rod Hood probably gets the start for Nick Harper in his return to the lineup, while Sen’Derrick Marks is listed as starting at DT for Tony Brown in a mild surprise over Jovan Haye. Please post your comments here during today’s game as we follow CJ’s quest for 2K. 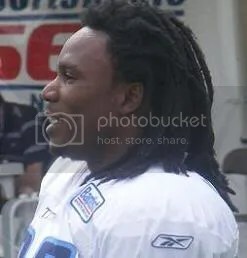 I thought I’d take a final look at the Seahawks defense before today’s Tennessee Titans – Seattle Seahawks game and in particular, compare some of their stats with Chris Johnson’s. First, the Seahawks have, by most measurements, an average, or slightly above average rushing defense. Seattle is 14th against the run in yards per game and in a tie for 15th in yards per carry. Also, as Vince Verhei noted in this week’s question and answer session with Drexel, Seattle is 13th in run defense DVOA, slightly above average. In preparation for tomorrow’s season-ender between the Tennessee Titans and Seattle Seahawks, I exchanged emails with Seahawks aficionado Vince Verhei. In addition to his Seattle allegiance, Vince authored the Seahawks’ team chapter in Football Outsiders Almanac 2009 while also contributing a weekly column to ESPN Insider regarding each week’s biggest upset.